Laptops are in a weird place right now with most people just going with a tablet or smartphone for most of the basic tasks, it’s mainly business/students that go for laptops and even then it’s mainly for a keyboard, which most tablets nowadays have accessories available to exactly that. 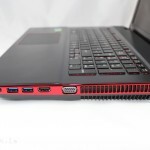 However, gaming laptops are a completely different breed and mostly pack some of the best hardware available and they must if they are going to be able to play the latest and greatest games available. 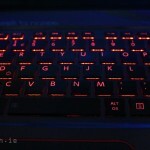 Reviewing a gaming laptops brings in determinations of design, performance and of course price tag to see if everything it offers is worth it. Gaming laptops will always have a place for those who want performance and portability at the same time, and as such they are still quite popular. 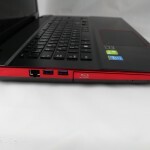 The Qosmio QX 70 is one of the latest gaming laptops from Toshiba that include some of the newest specs such as Intel’s 4 generation processor (Haswell). Nvidia’s GT 700 series graphics along with Optimus support to dynamic switching between Intel integrated graphics and Dedicated Nvidia graphics. As always with our introductions, we begin with the specifications and as we said above the X70 as some pretty nice specs. Those are the specs and we are impressed straight of the bat and we’re already expecting some decent performance numbers here. We have included the full specifications below as well. memory amount : 3,072 MB dedicated VRAM. Available graphics memory can be expanded using system memory, through TurboCache™ technology: up to 10,878 MB with 16 GB system memory installed as shown in the NVIDIA control panel, and up to 19,070 MB with 32 GB system memory installed, (with pre-installed 64-bit Windows® operating system). Warranty 1 year European Carry-in incl. local Pick-up & Return in the UK & Ireland. Toshiba also offers a large range of services to upgrade your standard warranty, please have a look at our website www.toshiba.co.uk/services to find the right service for your product. The designs of the Qosmio is nearly identical to the previous model from last generation, but none the less we are going to break down the design/connections/features it has below. Starting with the right side of the device we most of the connections which include 3.5mm microphone and headphone jacks. 2 x USB 3.0, HDMI, VGA, and finally the power connection. 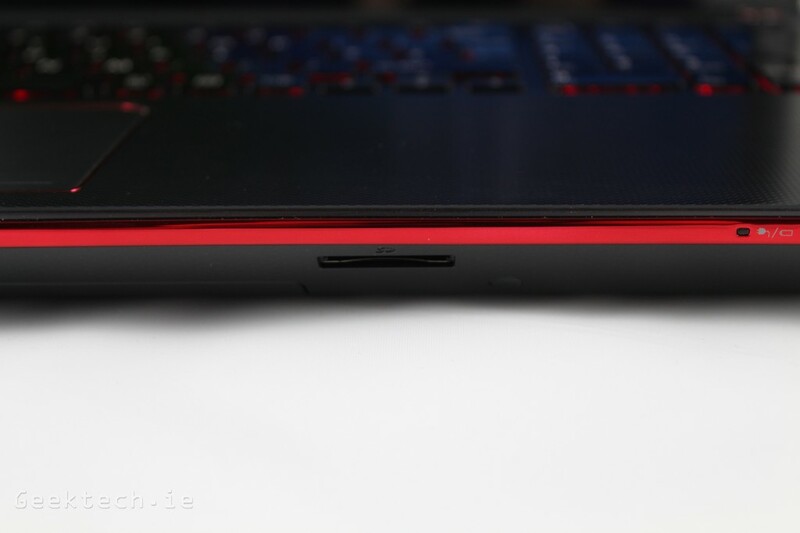 The left side of the laptop has the a Kensingtion lock, Gigabit Ethernet, 2 more USB 3.0 connection and the Blu Ray disk drive. 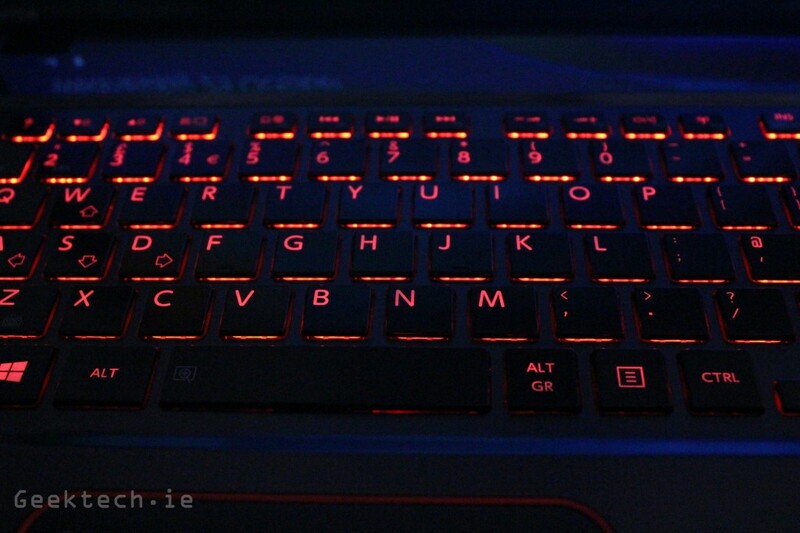 The touch-pad and keyboard are again the same as previous Qosmio models with the keyboard featuring the red LED lights to illuminate the keyboard. Here we have the SD memory card and LED indications for Battery/charging, HDD and Network. Finally we come to the display which is a 17.3-inch Full HD (1,920 x 1,080) TFT/LED with 8MS response time. Now it’s time to put the Toshiba Qosmio X70 to the test and perform some benchmarks. 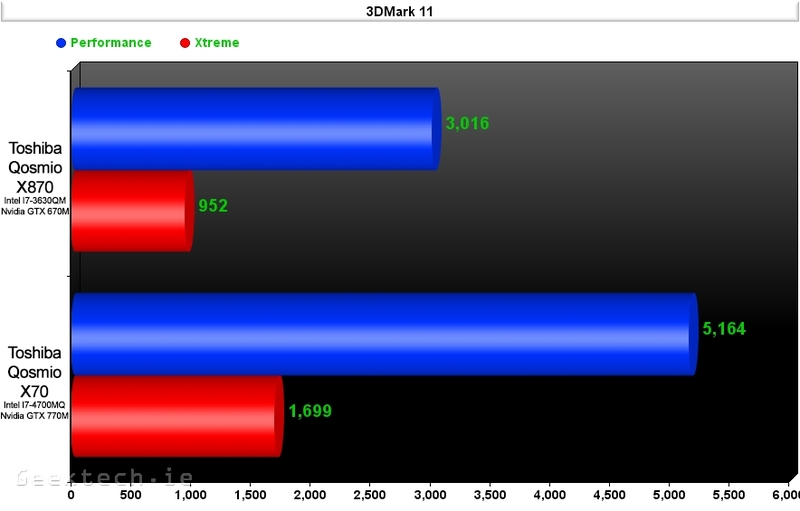 Our test charts will include a comparison to the previous Qosmio X870 that we reviewed earlier this year. It’s a gaming laptop so of course we are going to take a look at some gameplay on it. The games we are taking a look at are Battlefield 4, Call of Duty: Ghosts, and finally Crysis 3. Using the optimal settings for each game or slightly tweaked settings and displaying the frames per second on each, we give you an idea of the type of performance the Qosmio laptop provides. We displayed the settings before each game demo starts, so take a close look to get an idea of the performance. Also keep in mind that future driver updates will of course improve the results and further tweaks can also have a positive effect. 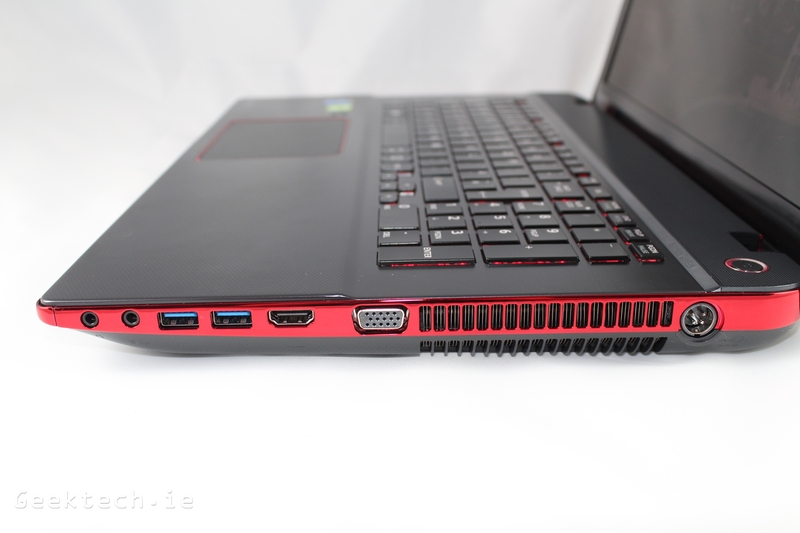 Gaming laptops are pretty straight forward at the end of the day, they don’t pack the performance a gaming desktop, but they are far more powerful then your average ultrabook/laptop. The idea is to give you at least a decent ability to play games on high enough settings with enough frames that make their generally large price tags reasonable. Keep in mind that getting or building a gaming PC also requires a bit of money, but of course not as much as a reliable gaming laptop. Effectively your spending more for portability, which should be obvious, but let’s not forget your getting a complete computer as well and not just something that plays games. 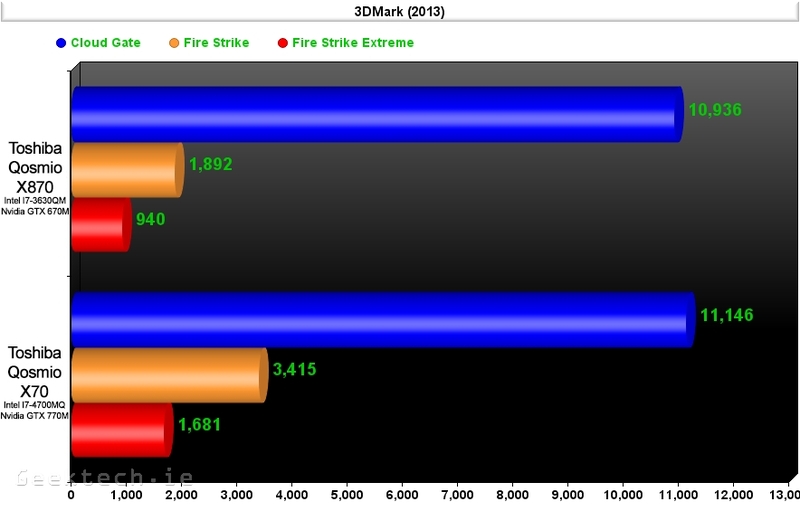 Our conclusion includes the big three, design, performance and overall. 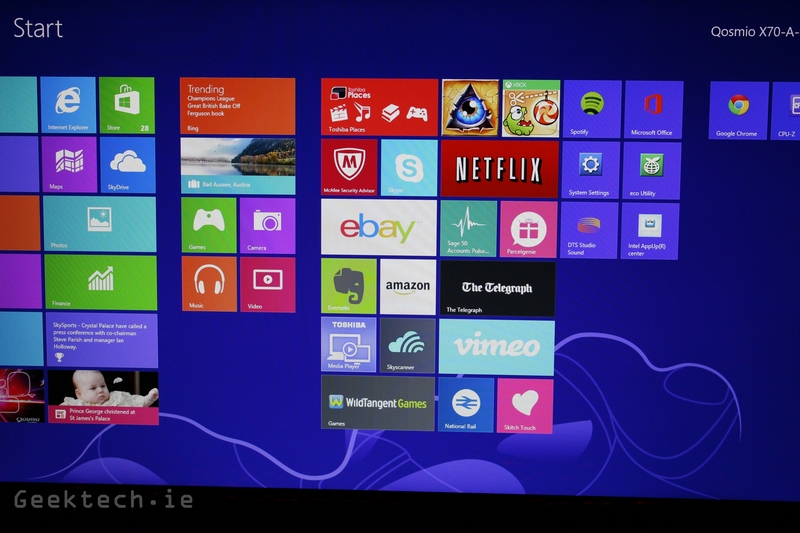 design includes the display, keyboard and general usability as a laptop. 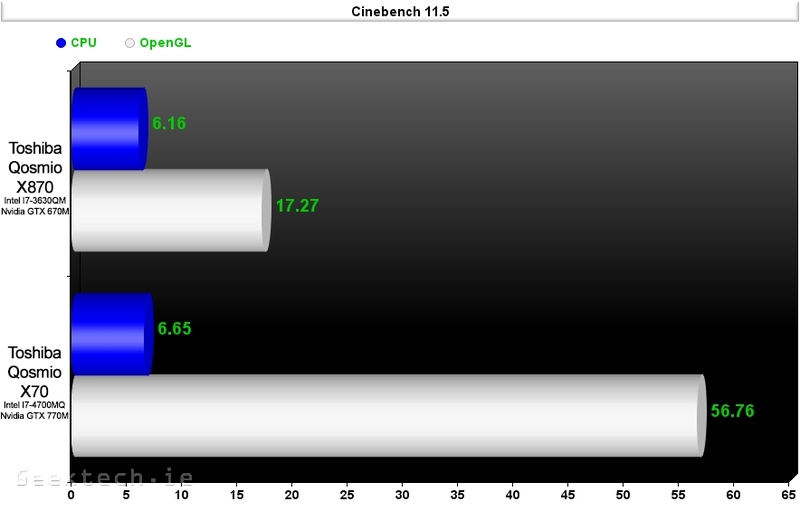 Performance will focus on benchmark numbers, gameplay, and of course the general performance. and finally overall will sum everything up. The design on this model of Qosmio isn’t new compared to previous models and to be honest it doesn’t really need to be as the design is fantastic. 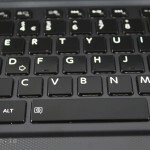 The keyboard feels great and typing is spot on, although there may be a small adjustment period, we could easily get to full typing speed, which is important on any laptop. The screen isn’t spectacular by any means, and viewing angles could be better, but we are glad it has a 1080p display and colour gamut is decent enough to enjoy gaming, but if your looking for the best display, then the Qosmio doesn’t really have it. That’s not to say it’s bad, but considering the quality of displays available, we would have hoped for a better one to be included in a gaming laptop. Weight is around 3.4KG, making it a pretty heavy device, which will reflect how portable it is, but being honest, we didn’t expect it to be too light considering what has inside. We had no issues using it on our laps as some do with laptops, but passing it around or walking with it was tiresome. 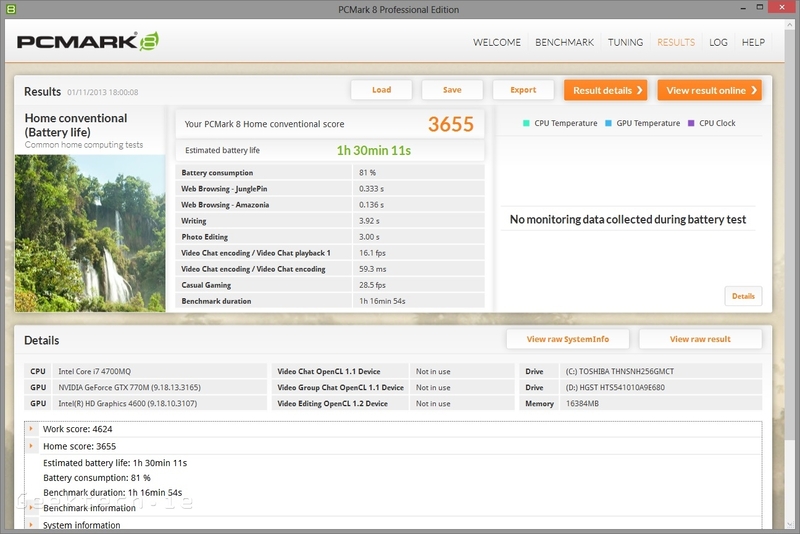 The Qosmio X70 includes the newest Intel 4th generation Haswell CPU and performance numbers show around a 10-percent increase in CPU specific tasks, which is exactly as we expected. The biggest advantage of the new generation is the added efficiency, which can go a long way to getting you more out of your battery. 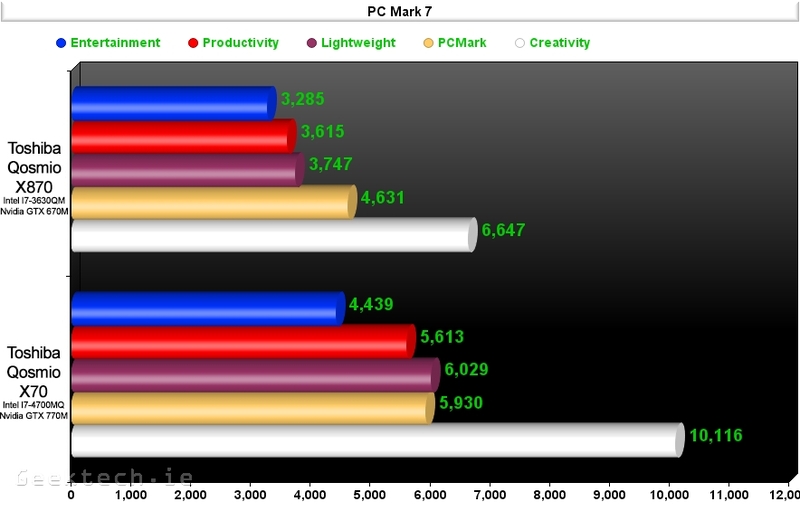 Our PC Mark 8 battery benchmark showed a battery length of around 1hr30mins, which is considerably low compared to ultrabooks/netbooks and tablets, Even though the Qosmio X70 includes Nvidia Optimus technology allowing you to dynamically switch between the integrated graphics (HD4600) and the dedicated graphics (670m), the battery life either way is pretty poor. The Nvidia GTX 770m is where the gaming attention comes from and it can handle new games with optimal settings, sure they don’t look nearly as good as a high end desktop, but playable wise, they worked perfectly and you can’t really ask for much more, the GTX 770M isn’t the fastest card on the market, but it does offer decent performance and our benchmarks showed a massive increase compared the last years Toshiba Qosmio X870. 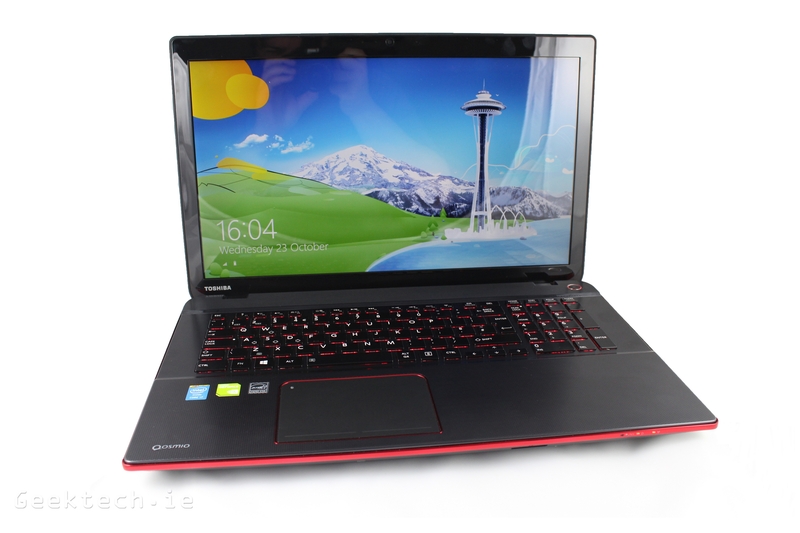 The Toshiba Qosmio is a gaming laptop, and that’s evident throughout the design, performance and lets again be honest the price tag, but paying top euro/dollar/sterling what have you, is the decision you make when your looking for high performance and portability at the same time. 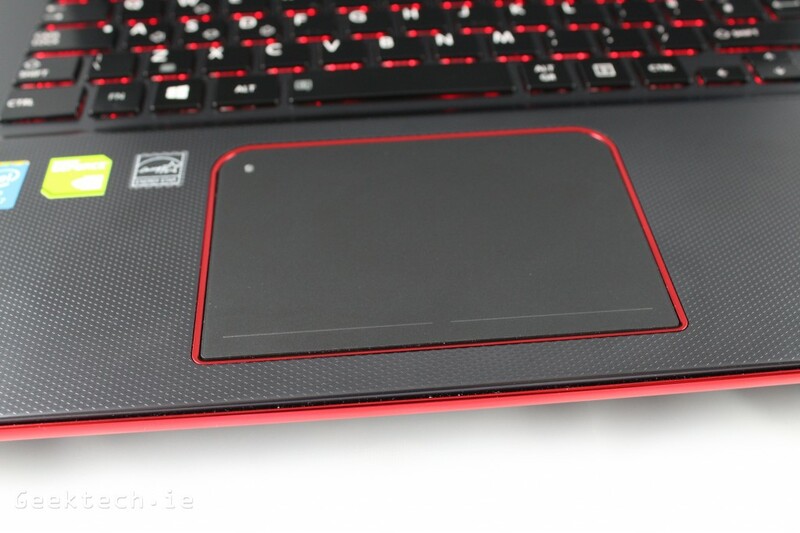 We love the look of the Toshiba Qosmio from its red LED’s and colour throughout its deigns and the fact it’s all metal is a nice touch, although weight wise you may not like it. The real overall conclusion will be a break down of pros and cons/likes and dislikes. Our pros and cons are pretty straight forward and that’s exactly what the Toshiba Qosmio is/does. You get exactly what’s advertised and the Laptop performs as expected. The only real con is the display, which could have easily been better. 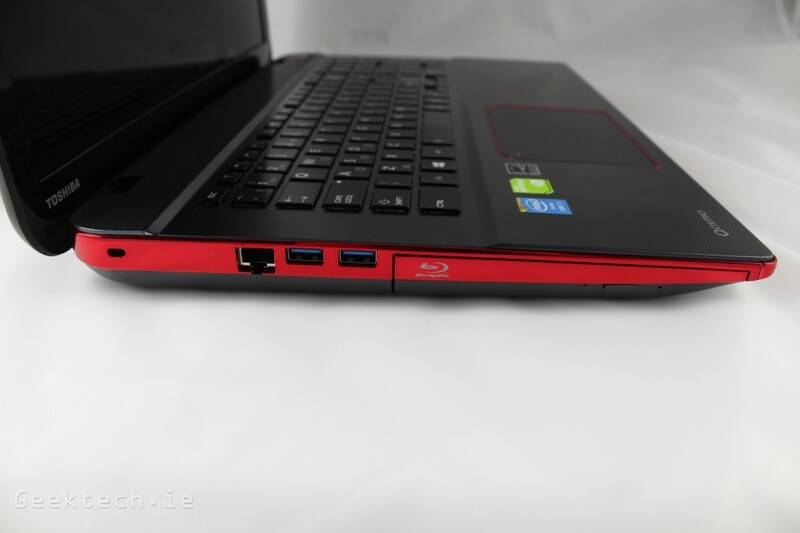 The lack of decent battery life and heavy nature are again typical of a gaming laptop, although even more so on the X70 and sadly that’s a pretty big negative. While the Toshiba doesn’t break any records or offer something beyond the competition, it’s still a top performer that can play the latest games, but technically so does the competition. Some people may just draw a line with the price tag difference as currently the Toshiba Qosmio is around €2,000 give or take which compared to the competition isn’t that bad, as it does offer great performance, but €2,000 isn’t cheap by any stretch of the imagination so really price only comes into play if you can get a competitors product for cheaper. 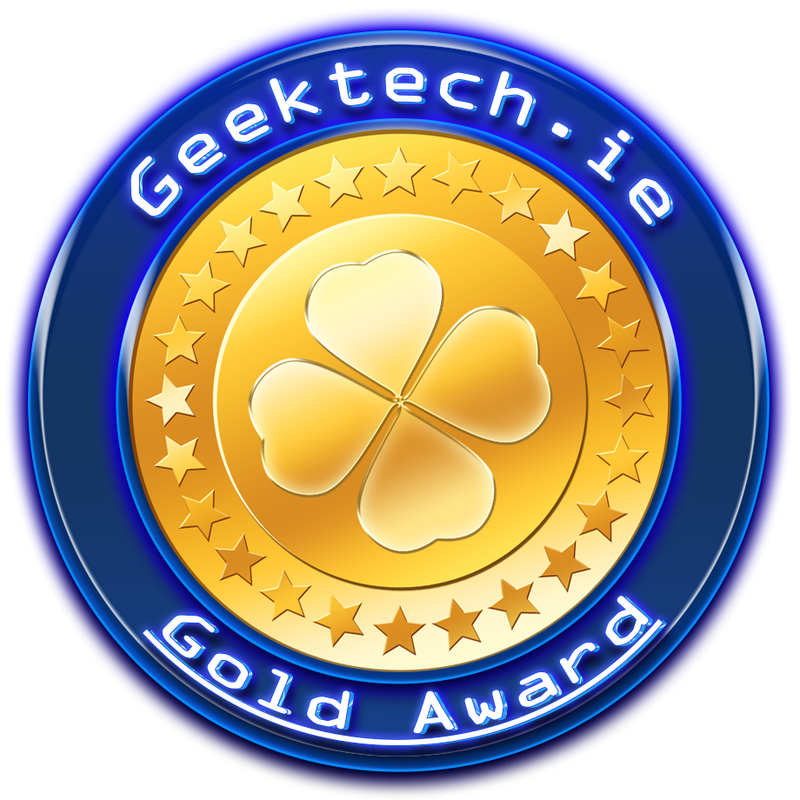 The X70 award was a difficult choice as we were battling the poor battery life that truly negates its laptop status, but since everything else performed amazingly we really couldn’t give it anything but a Gold Award and we will tell you why! The Battery life in any laptop regardless of performance is an important factor and while the X70 only lasted 1hr and 30mins in the PCMark 8 benchmark, the performance it provided in that time was excellent and as a gaming laptop performance is more important than battery life and we think Toshiba knew that and didn’t want to sacrifice performance ability for longevity. 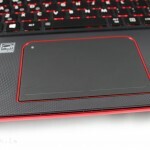 It was a bold decision that they made and of course some consumers will obviously be turned off by the X70 because of it, however, for those that just want a portable gaming machine that doesn’t take up as much space as a desktop, then the latest Qosmio from Toshiba is an excellent choice. 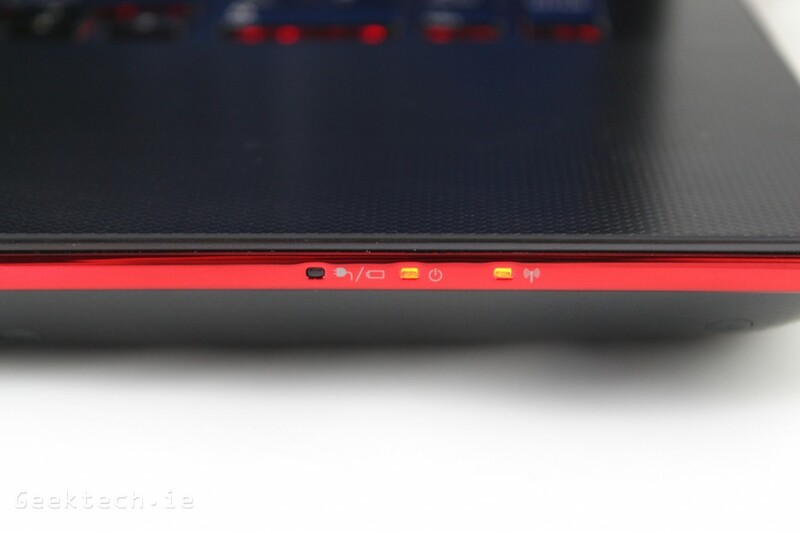 Summing up the X70 in just a few words is simple: It does everything you would expect from a truly high end gaming laptop, but sadly that includes draining the battery quickly. We have no problem recommending the Qosmio X70 for anyone looking for a high end gaming laptop to play the latest games available and at the end of the day that’s exactly what you want from any gaming laptop. A big thanks to Toshiba for sending out the laptop for review.